It is time - for you to hurry in to our new location and lay claim to yarns for your fall, winter and Christmas projects. Historically, The Crafty Lady booth at both shows sells a quantity of our yarns - great for the store, but sometimes we may not be able to provide the same dye lot or colour if/when you run short. It is time - for back to school! In my experience (while I had younger children) September is an even more expensive month than December - so we now offer "layaway". Do your planning and "pay as you knit". 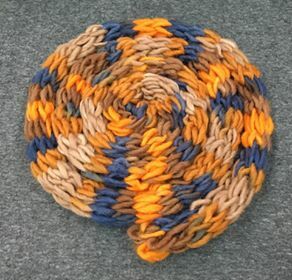 It is time - for me to learn how to read and complete a crochet project - from a pattern! 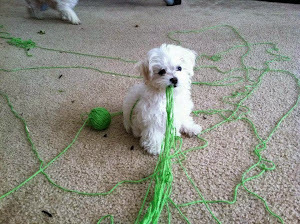 I have crocheted for several years, i.e. edging for knit squares to join a blanket together while creating texture. I know how to crochet water balloons (5 balls of chenille later I have proof). So, with the help of my friends, I am going to tackle a patterned project. I digress. It is time to learn a new skill as your children return to a very structured life at school (a new skill other than driving 3 kids to 3 different places at the same time). It is time - for rain and harvesting! It is time to pickle, can, jam, freeze, eat and harvest all of the bounty of our spring plantings. It is time - for any number of projects. It is time - for . . . fill in the blank with your own personal goals and/or projects. 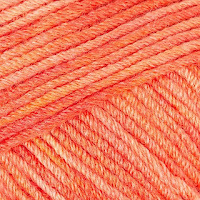 It is also time for our new 75% Off Sale - and this week's feature is a perennial favourite and one of the best selling yarns in the Debbie Bliss line; a blend of extrafine merino and cashmere. Written by Anne, happy TCL employee who does not wear a watch - to the ongoing frustration of my husband who has a very accurate brain-clock. 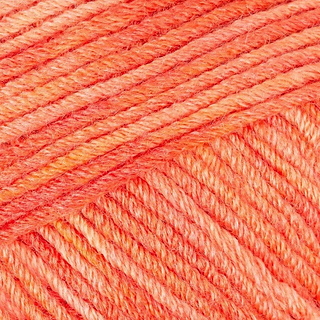 Do you start your yarn project with an idea, a request from someone, or a specific pattern in mind? Some of us design our own patterns (like The Crafty Lady herself), or take those of others and alter them...and others simply 'wing it'. Some rely on a combination of those sources. Me? 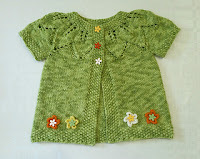 I can resize a pattern, yes, but by and large, I'm a "pattern knitter and a recipe cook". I don't 'wing it' in either of these areas -- at least, not if I want a garment that fits or a food dish that tastes good! So...if you aren't your own pattern designer, whether for knitting or crochet, this week we have a Super Special Sale just for you! Get set for more fun with your fall and winter knitting! This is the opportune time to collect patterns for your favourite yarn craft, and your favourite pattern genres, from baby-wear to home decor -- or to acquire a booklet with patterns and techniques you've never tried before. Stop by and see the selection; we look forward to helping you make your choices -- and to choose the yarn you need to make your project happen! *Written by Margaret, who can create original art with fabric -- but when it comes to her knitting, needs a pattern! 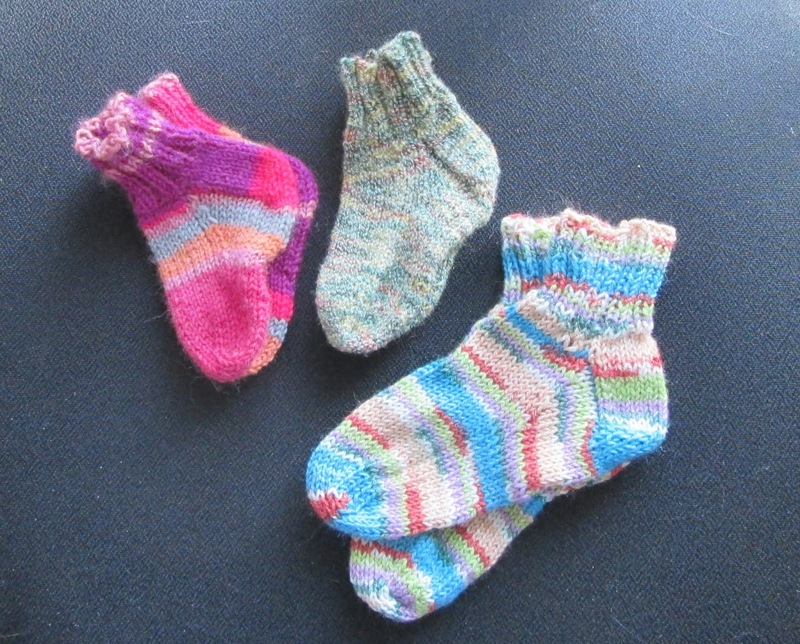 I'm a sock-knitter. That is, I like to use light-weight yarns and make things (socks, mainly -- but also shawls and hats) that take some time. It's the process as much as (or maybe more than) the product that I enjoy. I also like to make most of these things for other people. Currently, I've 3 pair of socks and two shawls for me that are half finished, while I'm barrelling ahead on socks and a sweater that will be Christmas gifts this year. Well, yes. 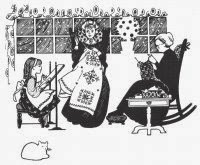 As my TCL colleague Anne pointed out last week, for yarn-crafters, Christmas often begins in July -- or August. Especially if you have something large (shawl, sweater) in mind for Someone Special. That's when process (especially knitting, which generally goes more slowly than crochet!) is overtaken by product. And lest you find yourself in that predicament right now, or want to plan ahead to have something last-minute ready later, this week our Super Special Sale offering has three (count 'em!) options just for you! 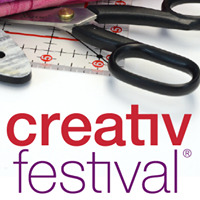 What's so neat about Creativ? Each package is a 'sock blank' that's been dyed in a tonal fashion. This means that you can enjoy Process by opening the end, unravelling it and knitting a pair of socks off the blank! OR you can throw Process out the window in favour of Product, and simply wrap it up as a finished scarf! 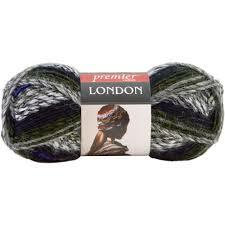 Yes, there are instructions on the label to turn this novelty yarn into a funky scarf -- but there's also a way to knit it with needles or your fingers (!) to turn it into a smooth product. Seriously, though, that's simply because she used very few stitches in stockinette, so the edges curled on their own. If you were to make it wider, and add a garter or seed stitch to the edges, you'd have a nice, flat piece of knitting suitable for a scarf, or when seamed at the ends, a cowl. Think of the possibilities! Process and Product! 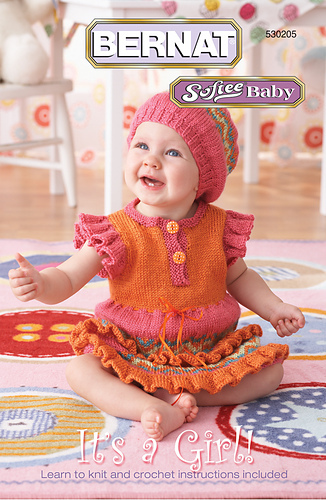 All you have to do with this package is braid the three pre-knit pieces together, attach the pom-poms, et voila! Instant scarf! OR -- believe it or not -- you can unwind each pre-knit piece (much like you would the Creativ sock blank, described above) and make it into something lovely, as this inspired Ravelry knitter did! So...Process or Product? Pick your favourite practice, pick your favourite yarn package -- and enjoy! 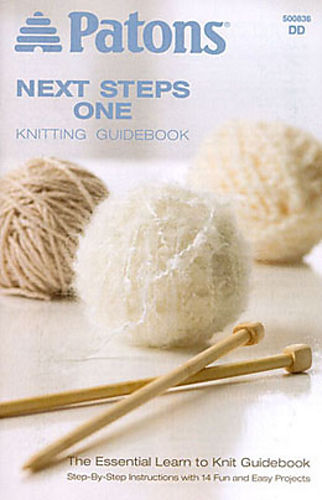 *Written by Margaret, happy TCL staffer who savours the knitting process, and enjoys the products that result! Christmas in July/August - A Moronic Marketing Gimmick? Or Creative Concept? This is a question where there is not a "Right" answer as people can discuss this for years to come. According to Wikipedia; the first reference was in an 1892 French opera and translated into English in 1894. In the story, a group of children rehearse a Christmas song in July, to which a character responds: "When you sing Christmas in July, you rush the season." In 1935, the National Recreation Association's journal described what a Christmas in July was like a a girl's camp, writing that "all mystery and wonder surrounded this event." The term was given national attention with the release of the Hollywood comedy Christmas in July in 1940. In the story, a man is fooled into believing he has won $25,000 in an advertising slogan contest. He buys present for family, friends, and neighbours, and proposes marriage to his girlfriend. Wikipedia does not have the conclusion of this story, so you will have to watch it for yourself. In 1942, Calvary Baptist, Washington, D.C. celebration Christmas in July with carols and the sermon "Christmas Presents in July" complete with a Christmas tree covered with donations. The pastor explained the service was designed to give ample time for the distribution of the Christmas gifts to missions worldwide. It became an annual event. The U.S. Post Office, U.S. Army and Navy, in 1942 and in conjunction with the advertising and greeting card industries launched a campaign to promote an early Christmas mailing campaign for service men and women overseas during W. W. II. If you suggest Christmas is a season of special religious expression, I would totally agree with you. I believe is a a special time to remember the lessons Christ taught us, such as to celebrate life, music, food, to share, and the list goes on. Maybe we need reminding there is always a reason to celebrate, and something to celebrate. Celebrating family is a great reason to get-together any time.